It comes with six brush heads and a flossing attachment, but is it any good? The budget-friendly Nevadent sonic electric toothbrush will be available in Lidl stores from this coming Sunday, as long as stocks last. With a range of brushing modes, accessories and features usually reserved for far more expensive brushes, as ever the question is whether the Nevadent is a genuine bargain or false economy. We got our hands, and teeth, on it ahead of the launch to see whether it’s any good. 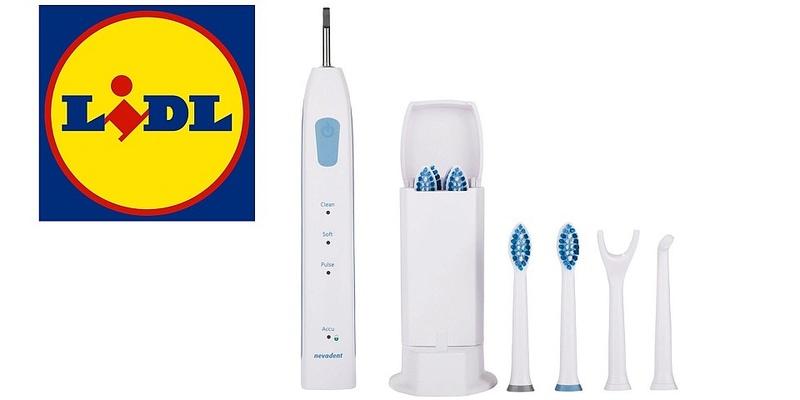 Click here to read our review of the Lidl Nevadent sonic toothbrush to see if it’s worth adding to your shopping list this weekend. You can also browse our reviews of other health and personal care tech from Lidl and Aldi. What is the Nevadent sonic electric toothbrush? Sonic high-frequency vibrations: the brush head on a sonic toothbrush vibrates at high speeds to break down plaque. Makers of sonic brushes claim they drive fluid (a mix of toothpaste, water and saliva) between teeth to help dislodge plaque. Three brushing modes: multiple brushing modes give you the chance to tailor your brushing to suit your needs. This Nevadent model has three settings; normal, soft and massage. Six brush heads: the idea here is you keep one brush head for each of the family, and share the handle itself. If you’re using them all yourself, they should keep you sorted for 18 months, at the very least. There’s a handy storage container that fits four brush heads, too. Dental hygiene accessories: unique to any of the toothbrushes we’ve reviewed, this one comes with an attachable flossing head and interdental brush head, to help you clean between teeth. Two-minute interval timer: a useful function that lets you know when you’ve brushed for the dentist-recommended two minutes, and prompts you to switch to a different section of the mouth every 30 seconds to ensure an even clean. Three-year warranty: a reassuring guarantee, in case you do encounter any issues with it. If you want to see how it matches up against electric toothbrushes in the same price range, check out our list of the top five cheap electric toothbrushes. What else is on offer at Lidl? It’s not the first time this year that Lidl has released cheap personal care items. In January it launched the Silvercrest beard trimmer and Silvercrest activity tracker, and then followed this up with a rotary electric shaver in May. These came off the back of the release of the Sanitas SBF Bluetooth diagnostic bathroom scales in 2017. Throughout the year, you’ll also find an array of household appliances on sale in Lidl, ranging from a juicer and coffee machine to an iron and air fryer. Although they’re not always available in stores, our guide to Lidl home electrical offers can tell you when they’re back on the shelves, so you can pick one up before they sell out. We did our first test of electric toothbrushes back in December 1963, and although prices and technology have changed a fair bit since then, our dedication to rigorous testing has remained the same. During our tests, we collect more than 2,000 before-and-after plaque readings, so we can tell you exactly which toothbrushes will do the best job of keeping your teeth clean and healthy. One brush we’ve tested only managed a paltry two stars out of five in this part of the test, while the best brushes achieved five-star ratings. We also check to see how long it takes for the battery to recharge. The fastest went from flat to full charge in under 11 hours, while the slowest took over 32.5 hours to fully recharge. We’ve tested 39 electric toothbrushes, including ones from Colgate, Oral-B and Philips Sonicare. 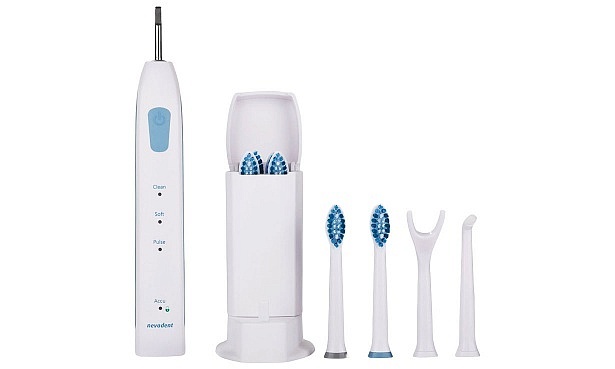 See all of our electric toothbrush reviews to find out which are worth spending your money on.